You know that guy from the Dos Equis commercials who thinks he’s all that? Well, he’s got nothing on these super interesting animals. It doesn’t take much to be the most interesting man in the world. Men can’t breathe rainbows or grow to be twelve feet tall. These cool and colorful animals are way more interesting than any bearded dude. Keep reading to see an orangutan who can tie a hammock, an albino turtle that looks like a coconut treat, and a jaguar who picked a fight with a giant reptile and won. At the Southwestern Research Station, there is an initiative to remove invasive bullfrogs from ponds. 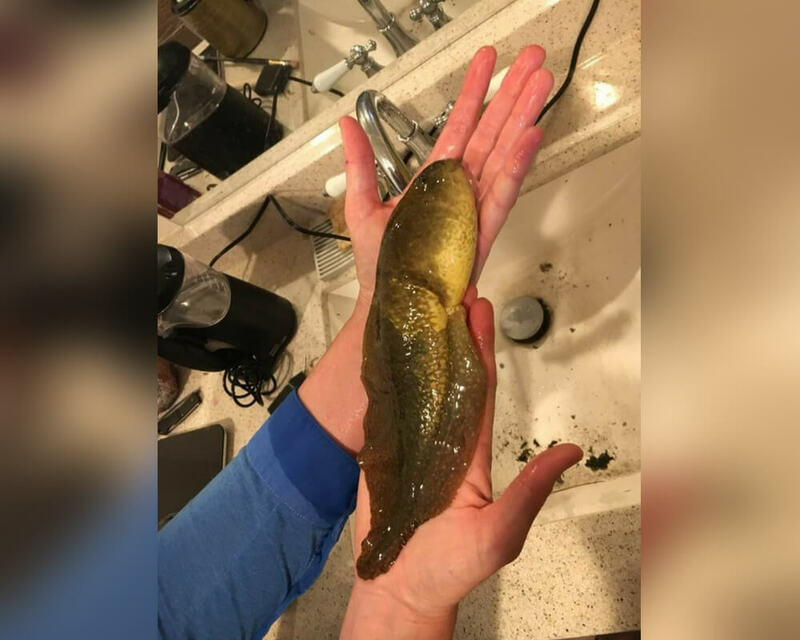 During the removal process, they found this monster of a tadpole. This tadpole probably won’t turn into a frog because of a hormonal imbalance, but it’s pretty darn interesting.